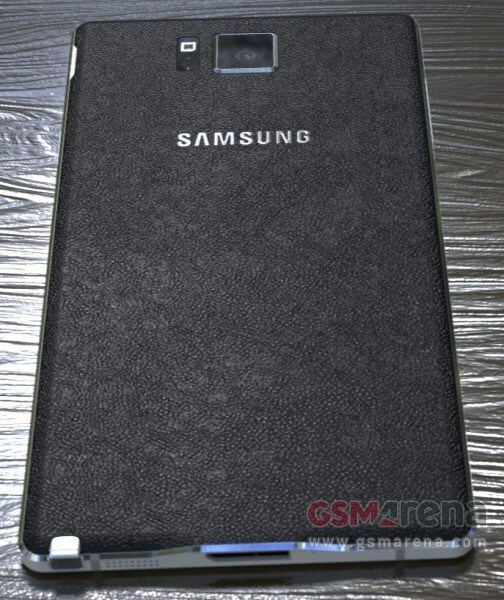 Samsung will present us in a few days, the fourth generation of the Galaxy Note and fit, there are today the first photos. On September 3, Samsung is in Berlin Unpacked event a host on which you want to show a new generation of the Galaxy Note. Fits, there was in the last weeks numerous rumors and speculations, but we lacked imagery. Until just because at GSMArena has published the first photos today. And this for me not look like a fake. 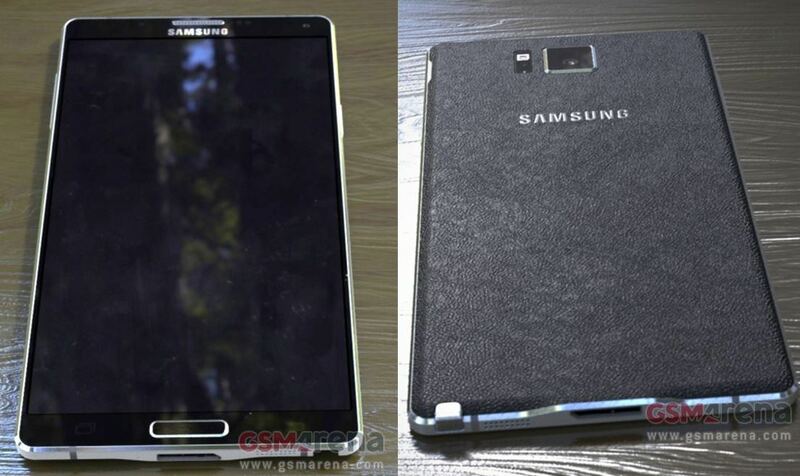 It looks as if Samsung's new design line of Galaxy Alpha is also available in this model. The back looks a little high again, even if I assume that this is the end back to plastic. Visually, it looks to give it back very strongly after Samsung, but stands out but clearly from Samsung Galaxy S5 from. What’s also interesting is that the Galaxy Note 4 pictured on the box has a new wallpaper with the date September 15th on it. 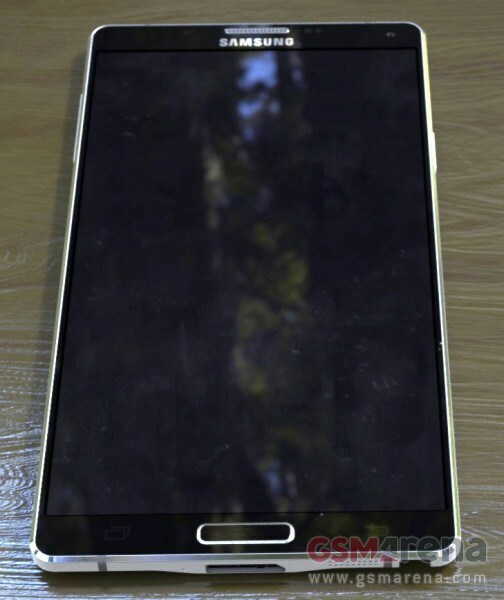 So far, press renders of Samsung devices like the Galaxy Note 3 show the date of the announcement, so it’d be only logical to see September 3rd on this Note 4 leak. Is this a change of policy, or a signal of some Photoshop efforts by someone out there? It’s hard to tell, but we’ll keep our reservations about all this until we see more images, or any other more conclusive evidence this is indeed real. 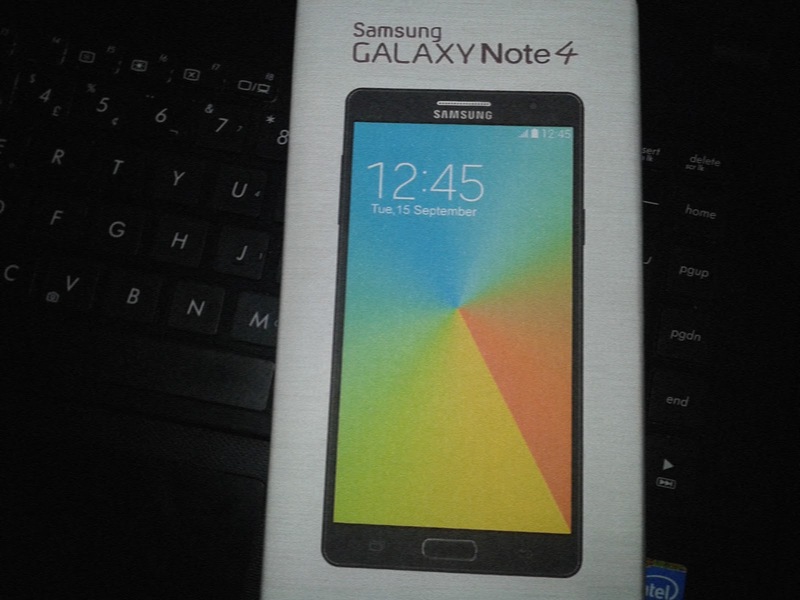 For the time being, we give you the leaked image of what’s allegedly that Note 4 retail box. Now that we have the first images that question for you: How do you like the Samsung Galaxy Note 4, if it looks like in these photos?